In the remote desert landscape of the sprawling NamibRand Nature Reserve is this eco-savvy lodge – rustic chalets on raised wooden floors with canvas walls, canopied beds, ensuites, tribal rugs and desert vistas that go on forever. There’s a swimming pool and a resident massage therapist – bliss after bouncing over those desert roads. A team of safari guides help guests trace the footsteps of the Bushmen who have been traversing the desert for centuries. 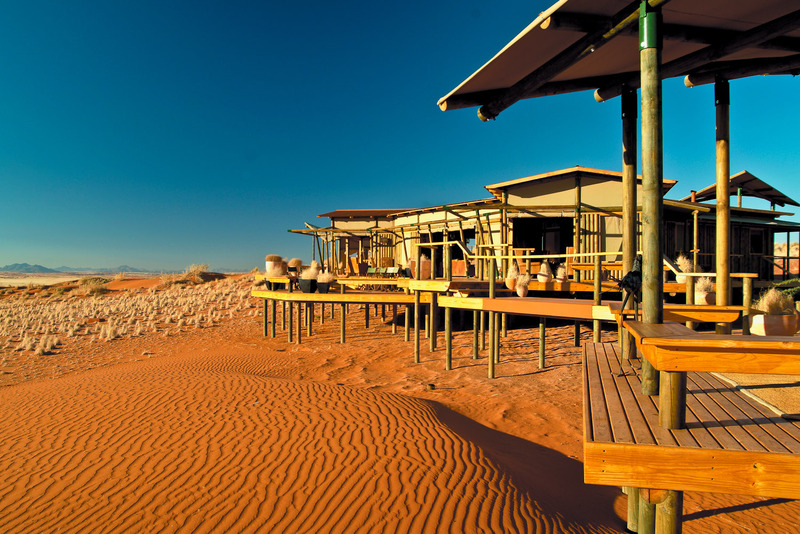 Take a scenic flight, go hot-air ballooning or picnic beneath camel-thorn trees. Gourmet bush cuisine is served by the soft glow of candlelight and the echoing stillness of the night. Remote and remarkable. Did you know Mysterious circles in the sand dot the landscape on the edge of the Namib Desert. They are called fairy circles, but no one knows what they really are.